Alright, by now everyone knows that the cast of Big Little Lies are basically the greatest friends. From supporting each other at award shows to spending quality time together on and off set, they're probably the greatest TV ensemble out there. So, this past weekend, the ladies of Monterey were very busy hanging out together and honestly, I'm upset I wasn't invited. First, Reese Witherspoon, Zoë Kravitz, and Laura Dern took a break from filming Big Little Lies Season 2 and went to the movies to support Shailene Woodley's new movie, Adrift. And just like the supportive BFFs that they continue to be, they all posted the same photo with various captions! Shailene took to Instagram to post about how much their support means to her saying, "WHAT TRUE SUPPORT AND SISTERHOOD LOOKS LIKE. I feel so shown up for." And if that wasn't enough, the weekend festivities didn't stop there! 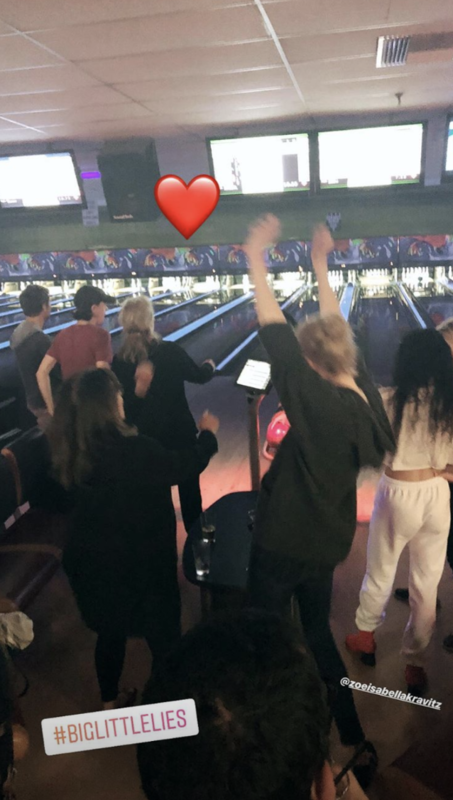 Nicole Kidman posted on her Instagram story that the entire cast INCLUDING Meryl Streep all hung out and went bowling. Yes, you read that correctly. 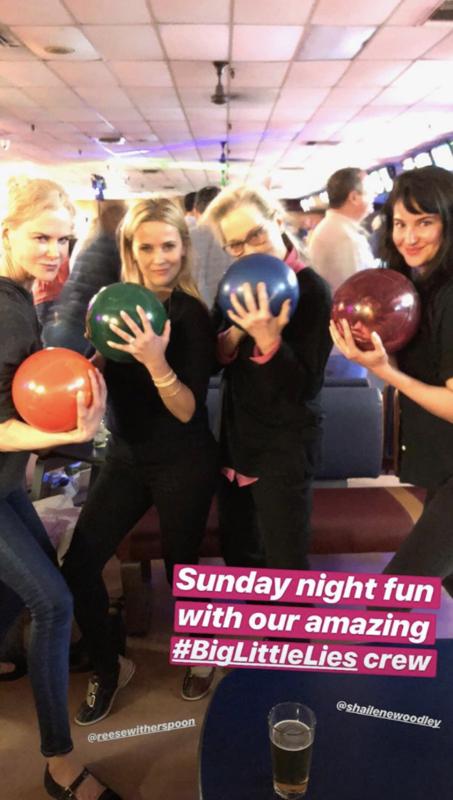 The Big Little Lies cast all went bowling and once again, my invitation was apparently lost in the mail. Is anybody else wondering how good Nicole Kidman is at shooting pool?! I'm sorry, we just have to go back to Meryl holding this bowling ball ONE. MORE. TIME. Honestly, these ladies are the epitome of female friendship goals and I can't wait to continue to watch them support each other!